1 It's EASY! Have your parcel delivered to one of over 7,000 Collect+ stores, every one safe and secure. 2 It's CONVENIENT! You don't need to be waiting around for the delivery company. 3 It's only £3.75! Plus your order is available for collection for up to 10 days. At checkout, select Collect+ as your delivery option and pick your local store. Collect+ will send you a collection code by email or text when your parcel arrives. Take this and proof of your ID to the Collect+ store. Collect your parcel when it's a good time for you. The store will keep the parcel for 10 days. The Collect+ service is only available in UK Mainland and Northern Ireland. We have listed here the questions that we get asked most frequently. Click on the question to see the answer. If your question is not answered here, please contact us. Q. How much does the Collect+ service cost? Q. How do I select this service? Q. Why is this service not available for my current order? Q. How many Collect+ stores are there? Q. Where is my nearest Collect+ store? Q. Can I change my Collect+ store once my order has been placed? Q. When are the Collect+ stores open? Q. How long does it take for my order to arrive at the Collect+ store? Q. What do I need to collect my parcel? Q. What should I do if I lose my collection code from Collect+? Q. What should I do if I have not received my collection code from Collect+? Q. Can someone else collect my parcel on my behalf? Q. What if my order includes out of stock items? Q. What happens if I do not collect my parcel? Q. What should I do if my parcel isn't available when I arrive at the Collect+ store? Q. Once my order has left Baker Ross can I track it? Q. What should I do if I don't want my order anymore? Q. Who do I contact if I have a query about my order or delivery? Q. What if I want to return an item I have collected from a Collect+ store? How much does the Collect+ service cost? The Collect+ service costs £3.75 per order. This is a one-off charge per order regardless of the order value or number of items the order contains. How do I select this service? At checkout, you will be shown the Collect+ service option on the delivery page. Here you pick your local Collect+ store. Why is this service not available for my current order? Some orders including heavy items are not suitable for this delivery service due to size or weight. This service is only available in UK Mainland and Northern Ireland. How many Collect+ stores are there? There are 5,800 Collect+ stores in the UK Mainland and Northern Ireland. These are local stores such as newsagents and convenience stores. There are no Collect+ stores in the Channel Islands or at BFPO locations. Where is my nearest Collect+ store? During checkout when you select Collect+ as your delivery service you'll be able to select your nearest Collect+ store. 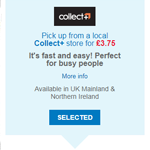 Alternatively, the Collect+ website offers a postcode search. Can I change my Collect+ store once my order has been placed? No. Once selected you cannot change a Collect+ collection point. When are the Collect+ stores open? Collect+ stores tend to be open early until late and 7 days a week. When selecting your store during checkout, the opening times for your specific store are shown. How long does it take for my order to arrive at the Collect+ store? Once you have successfully placed your order online, the items will be processed and shipped to your chosen store. You will receive a confirmation email from us when your order is dispatched. Collection is normally within 3 working days after your order has been processed. Collect+ will send you a collection code by email or text message (if you've provided a mobile number at checkout) once your parcel is ready for collection. Parcels are delivered to Collect+ stores Monday to Saturday. A specific time cannot be given. To collect your parcel you will need the Collect+ collection code you have received by email or SMS and proof of ID. What should I do if I lose my collection code from Collect+? If you have lost the collection code sent to you by Collect+ via email or text, contact our Customer Service Team on 0344 576 8933. We are open Monday to Friday 9.00am to 5.30pm and we'll arrange for a new collection code to be issued. What should I do if I have not received my collection code from Collect+? If you have not received an email or SMS text from Collect+ with your collection code and the estimated date of your parcel's arrival has passed, contact our Customer Service Team on 0344 576 8933 for assistance Monday to Friday 9.00am to 5.30pm. No, it is not possible for someone to collect your parcel on your behalf. What if my order includes out of stock items? Your order will be split into two. In stock items will be processed as usual for collection at your chosen Collect+ store. Your out of stock items will be processed and sent once they arrive in our warehouse. Your parcel will be held at your chosen store for 10 days before being returned to us. 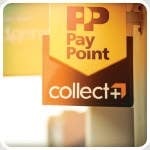 You will receive regular reminders from Collect+ if you haven't collected your parcel. If your parcel is returned to us it will be processed as a return and you will be refunded. You may still be charged £3.75 for the Collect+ delivery cost. What should I do if my parcel isn't available when I arrive at the Collect+ store? Please contact the Baker Ross Customer Service Team on 0344 576 8933 between 9.00am and 5.30pm Monday to Friday. Outside these times, please contact Collect+ Customer Services on 01923 601616 Monday to Saturday 8.00am to 8.00pm. Once my order has left Baker Ross can I track it? 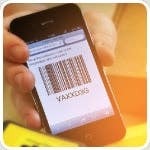 No, but Collect+ will provide email and SMS text updates if a mobile number has been provided during checkout. If you decide that you want to cancel your order, please contact our Customer Service Team on 0344 576 8933 Monday to Friday 9.00am to 5.30pm. You cannot cancel an order via Collect+. Do not collect the parcel from the store as it will be returned to us after 10 days. Once we receive the parcel it will be processed as a return and you will be refunded. You may still be charged £3.75 for the Collect+ delivery cost. Who do I contact if I have a query about my order or delivery? Always contact the Baker Ross Customer Service Team on 0344 576 8933 Monday to Friday 9.00am to 5.30pm. What if I want to return an item I have collected from a Collect+ store? In the event that wish to return part or all of your order, or an incorrect item has been sent, please follow our normal returns process. 1. Purchase and download a returns label from the Collect+ website, where you’ll need to enter the Baker Ross order number you wish to totally or partially return and an email address. 2. Print the label and attach it to your parcel. 3. Take the parcel to any Collect+ store and make sure you get a receipt in case of loss in transit. Every care must be taken to ensure the product is returned in reasonable condition. Please also note that we are not liable for the cost of returning goods to us unless the goods are defective or have been sent in error.